Personnel's attitude and cooperation, location. Collected keys after hours which was really appreciated. Once I found the place, it was quick and easy to get upstairs and in my apartment. Excellent apartment with amazing city view. Very clean. It had all the amenities I needed and more, including laundry, fast WiFi, full kitchen, lots of space. Great view from the apartment and the facilities were excellent. Very centrally located, property has everything for a business traveller. Had some issues with wifi, however was able to solve - overall good experience. 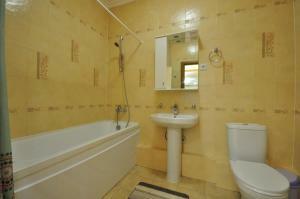 If you want privacy and want to be in city center, this is a good choice - excellent value for money proposition. Nice big room for 2 persons and amazing view from 30th floor! Small kitchen was perfect to have available. Comfortable double bed. Would have been even better with a cover each... Lift to the room was good. 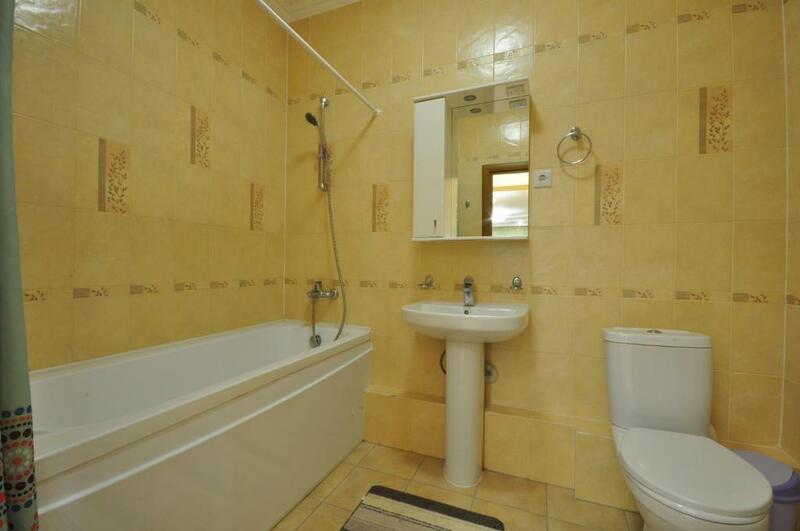 Bathroom good with washing mashine, great! But minus with brown water on arrival day! NOT nice! We love the place and Will recommend and also go back ourselfs. Thank you! grand veiw overlooking the city; the room is spacious; bargin price; people in the front-desk is very helpful (although a little bit hard to communicate in English except for one gentleman); good location near a shopping center which has a super-market and buses nearby directly to airport; good wifi. 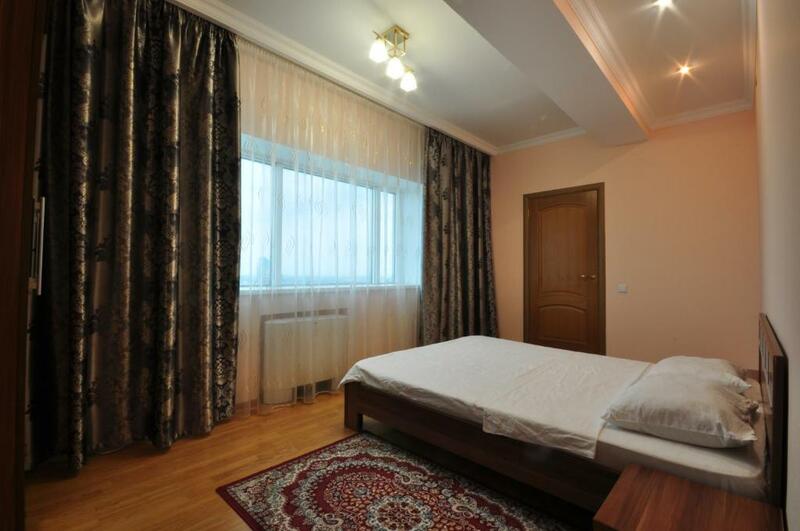 Lock in a great price for Apartments ApartInn Astana – rated 8.6 by recent guests! 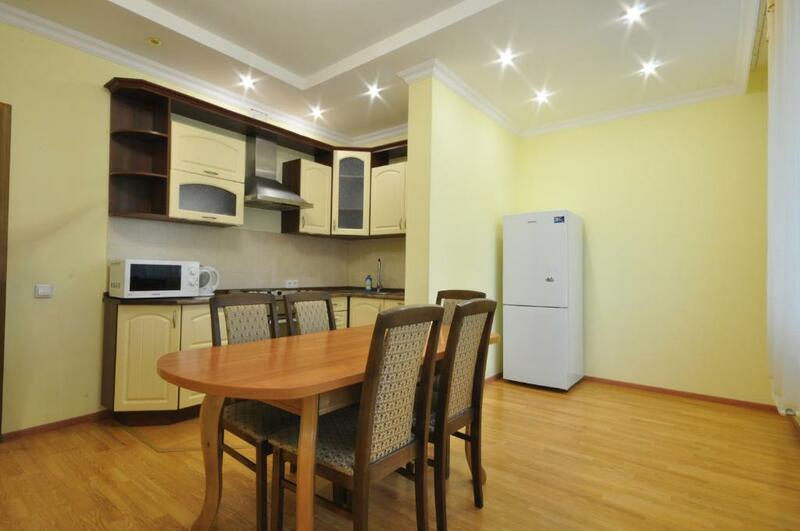 Located in the city center of Astana, in the Severnoe Siyanie apartment complex, ApartInn features self-catering accommodations with free Wi-Fi. The National Academic Library of the Republic of Kazakhstan is a 4-minute walk away. The apartments offer guests a fully equipped kitchen or kitchenette, a flat-screen TV with cable channels and a DVD player, a washing machine, air conditioning, and a private bathroom with a shower. Each apartment at ApartInn features a city view of the surrounding area. An on-site mini-market can be found on the ground floor of the apartment complex, and a shuttle service to Astana International Airport can be arranged for guests. Exhibition Center Korme is less than a 1-minute walk away, and Keruyen Shopping Center is a 3-minute walk. 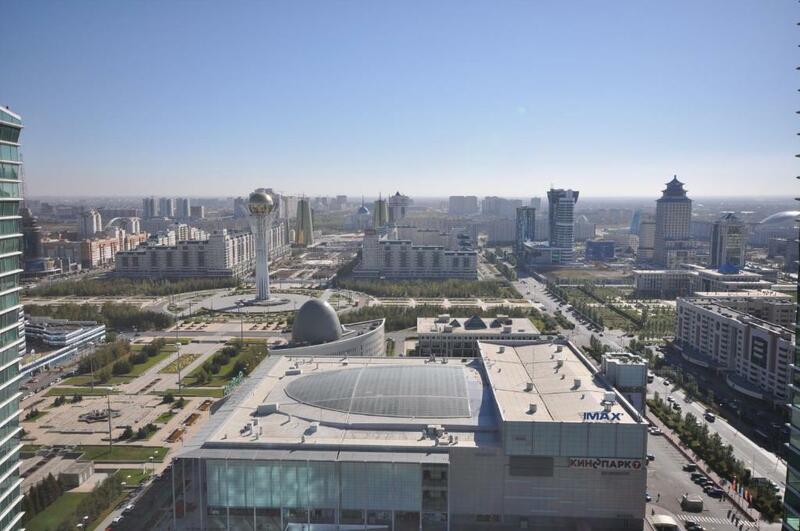 Astana Train Station is 5.6 mi from the apartments. 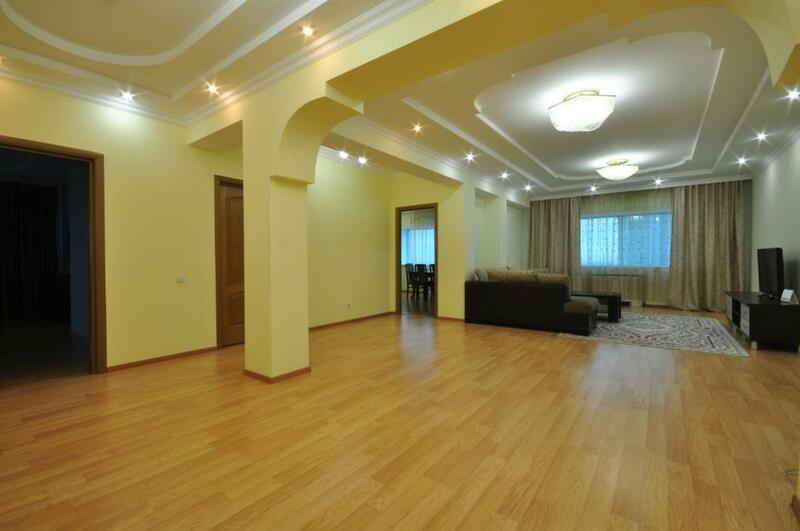 뀐 Located in the top-rated area in Astana, this property has an excellent location score of 9.4! 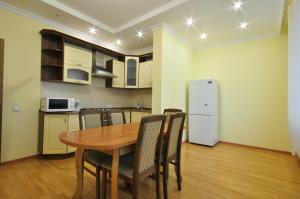 When would you like to stay at Apartments ApartInn Astana? 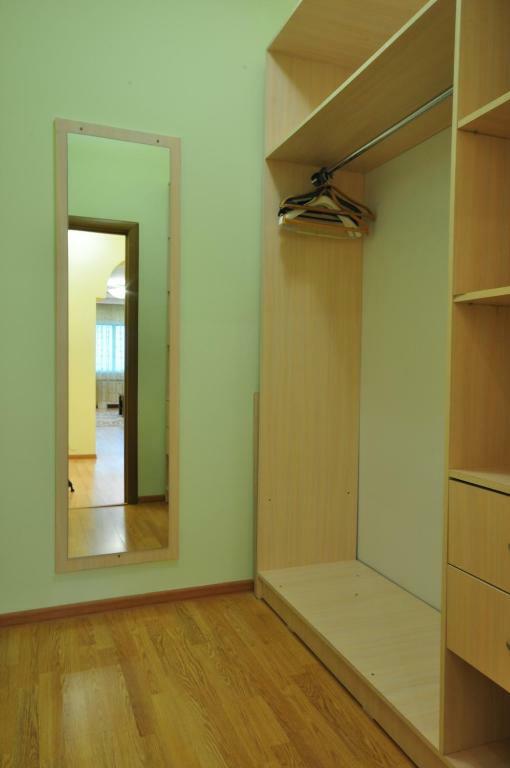 This modern studio features a fully equipped kitchenette, a flat-screen TV with cable channels and a DVD player, a washing machine, air conditioning, a city view, and a private bathroom with a shower. Extras include a seating area with a sofa. This spacious, modern one-bedroom apartment features a fully equipped kitchen, a flat-screen TV with cable channels and a DVD player, a washing machine, air conditioning, a city view, and a private bathroom with a bath and shower. ApartInn Astana-это комфортабельные апартаменты в центре Левого берега Астаны в Жилом комплексе бизнес-класса "Северное сияние"
В непосредственной близости расположен главный монумент Астаны- Байтерек, торгово-развлекательный центр Керуен, Хан-Шатыр, Азия Парк, прогуливаясь по Бульвару Нур Жол Вы можете увидеть основные достопримечательности столицы Казахстана. House Rules Apartments ApartInn Astana takes special requests – add in the next step! 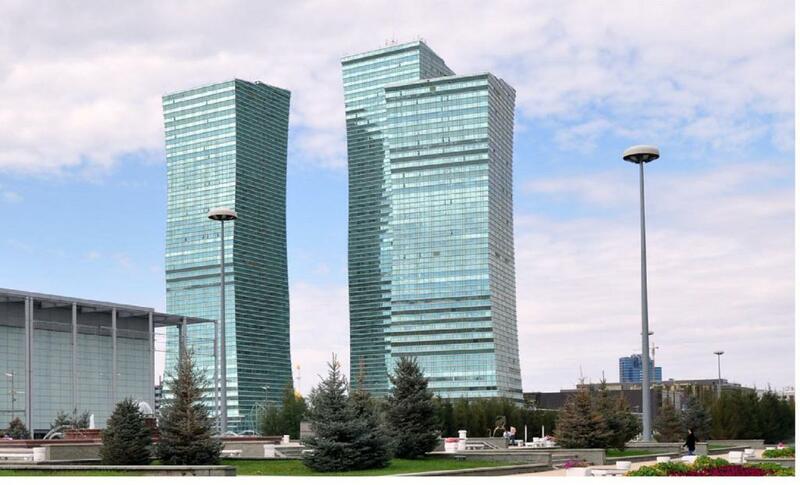 Apartments ApartInn Astana accepts these cards and reserves the right to temporarily hold an amount prior to arrival. Please note that 100% of the first night will be charged on the day of booking. - late check-out after 18:00 - 100% of the first night will be charged. 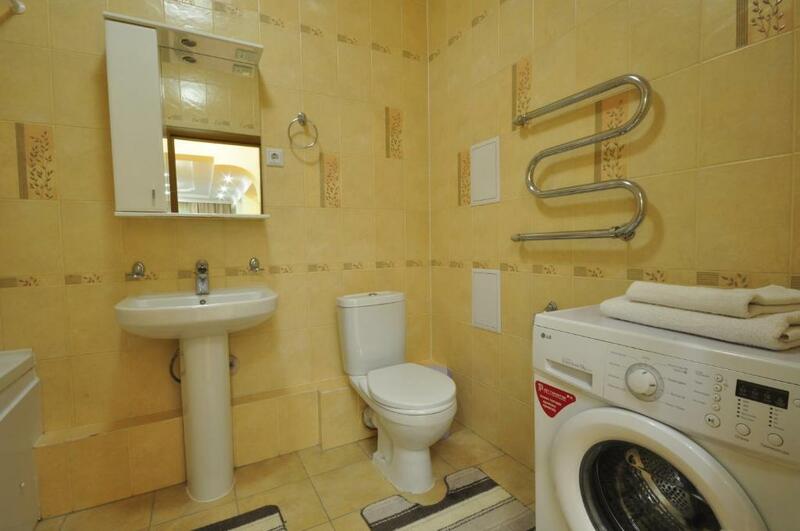 Please inform Apartments ApartInn Astana of your expected arrival time in advance. You can use the Special Requests box when booking, or contact the property directly using the contact details in your confirmation. Excellent location and views. Great for a short stay. wifi is a bit slow but functional. so much space for two people! all the facilities needed to be comfortable and a great view of the main promenade. enjoyed the restaurant (saksaul) in the building, appreciated washing machine and kitchen, staff is helpful (but speaks little english). Had a poor sleep due to old, uncomfortable and screechy mattress coupled with noisy neighbor doing home renovation since early morning. Panaromic view from 40th floor and location. The shower was either cold or hot, could not make it warm. Location, price, welcoming stuff, beautiful view. though it is in the landmark building of Astana, but the hotel reception might be difficult to find for non-russian speakers because it is amongst all the other business units, though it might be like that, but hotel staff will send the guide to their reception in English after the reservation is confirmed, and sweetly, they picked me up right at the entrance for the entire building and took me to their office to check me in. the hotel stays with one of the landmarks of Astana, with amazing views from its apartment!!! you can see almost all landmarks the futuristic and innovative buildings of Astana rom 270 degrees of windows within apartment, room size is super large, though I was a solo traveller at that time, but think the apartment can accommodated even 5 people, the room is clean but with all the needed facilities and equipments provided, staff are friendly and helpful, manage all the request even though their English is limited, but smart of them can understand what I was talking about. there are many groceries and place to have food at the ground floor. It is very difficult to find the office to collect your keys. Brown water from tap and shower one evening! the air-conditioner is not working properly; feel too warm for a couple of days.